With more than 20 years of experience in litigating patent disputes, Shamita Etienne-Cummings is a trusted advisor to many of the leading global technology companies. As a leader in the firm's Intellectual Property practice group, Shamita combines a client-focused business practicality with substantial knowledge of the law and technology. Shamita’s industry experience includes an emphasis in the areas of mobile communication, semiconductor design and processing, media, aerospace, defense, consumer electronic devices and medical devices. Her clients beneﬁt from her exceptionally deep technical knowledge, which is based on her previous work as an electrical engineer and program manager for GTE Corporation in the mobile telecommunications industry, where she designed and implemented wireless communication and satellite systems. 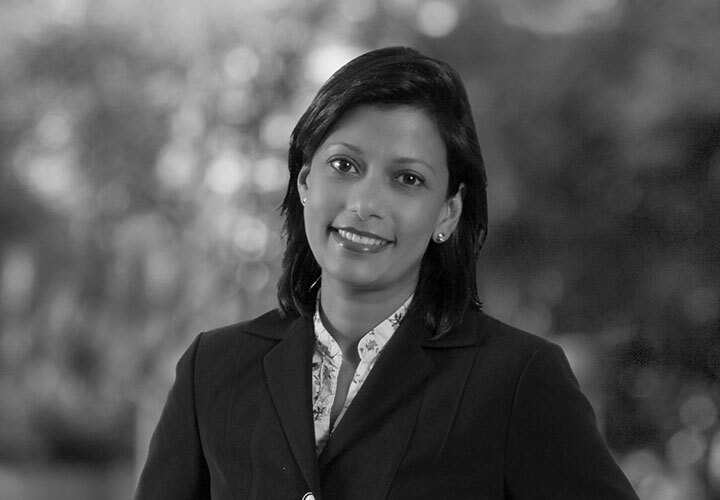 In addition to being a first chair patent litigator, Shamita also represents clients in breach of contract and trade secret matters before district courts, the International Trade Commission (ITC) and the International Commercial Court (ICC) and routinely provides advice to clients on general patent diligence matters. In 2017, Shamita joined the firm's senior leadership team as the Office Executive for the Washington, DC office. Shamita has also held a number of other roles at White & Case, leading on important firm issues such as diversity and inclusion, partner development and advancement, as well as recruitment in the DC office. 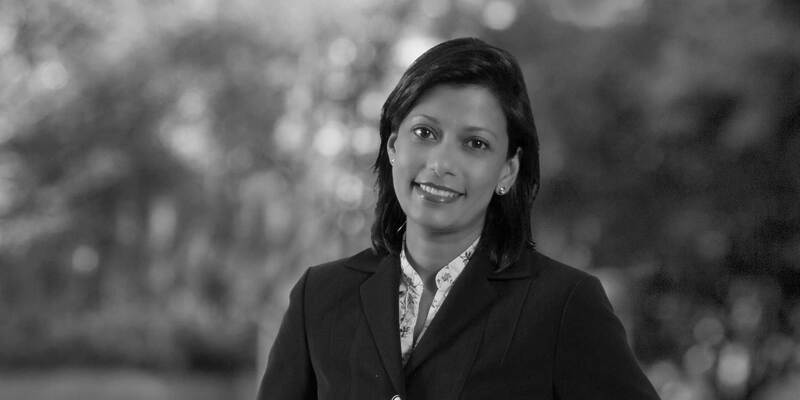 In addition to her contributions to the Firm and clients, Shamita is an adjunct professor of law at George Washington University School of Law in Washington, DC where she teaches a patent trial course. Lead counsel defending Google Inc. against Enterprise Systems Technologies' patent infringement claims against Google's customers, Samsung, HTC, and LG. EST asserted three patents against mobile devices incorporating Google's products and services. The Investigation was settled favourably for Google shortly after the Judge granted summary determination on one of the three patents. Lead counsel defending Google Inc. against Nokia in a second ITC investigation in which Nokia asserted four patents against Google products and services. This investigation settled very favourably for Google, in February 2014. Lead counsel defending Google Inc. against Nokia in a second ITC investigation in which Nokia asserted four patents against Google products and services. This investigation settled very favourably for Google, in February 2014. Lead counsel for Google Inc. in an ITC investigation in which Nokia asserted patent infringement claims against Google's customer, HTC. After disposing of patent allegations for four patents before trial, Shamita tried this case in June of 2013 on one remaining patent. In September 2013, the ALJ issued his Determination, finding that none of HTC devices incorporating Google's products and services infringed the remaining asserted patent. The Commission did not issue any determination reversing or remanding the ALJ's determination. Shamita defends Walmart's global eCommerce division in various patent litigation matters throughout the U.S., including courts in the Eastern District of Texas, Central and Northern Districts of California and Delaware. Shamita defends Panasonic in various patent litigation matters involving consumer electronic technology throughout the U.S., including courts in the Eastern District of Texas, Central and Northern Districts of California, Western District of Pennsylvania, Eastern District of Virginia and the ITC. Defended GlobalFoundries in a complex patent case in which her team invalidated all 275 claims across all seven asserted patents. Defending GlobalFoundries in a complex patent case concerning three semiconductor machine patents. Defended JPMorgan Chase as one of 29 opposing parties in a complex multidistrict litigation in the Western District of Pennsylvania against Maxim Integrated Products, Inc.. The litigation involved five patents regarding secure data transmissions, four of which were asserted against JPM Chase's mobile banking applications. The case settled favourably for JPM Chase after Maxim was forced to withdraw certain infringement allegations. Lead counsel for American Express in concurrent district court and United States Patent and Trademark Office (USPTO) proceedings involving patents regarding secure financial transactions. Resolved the case favourably for American Express as a result of aggressive positions to invalidate the asserted patents. Lead counsel for American Express in patent infringement suit directed as secure transactions. Court granted motion to dismiss early in the litigation. Lead counsel for American Express in a district court action involving patents directed to encryption. Resolved the case favourably for American Express after filing IPRs on all asserted patents. Dyncorp International LLC, V. AAR Airlift Group, Inc. Representing DynCorp in a trade secret and corporate espionage case litigation after prevailing before 11th Circuit Court of Appeals. Defended DynCorp against allegation of intentional infliction of emotional distress related to the death in Erbil, Iraq. Apple v. Qualcomm: Is Public Interest Apple's Best Defense in the ITC?